20% deposit in order to hold the reservation. Not refundable if cancelled with-in 2 weeks of arrival day. 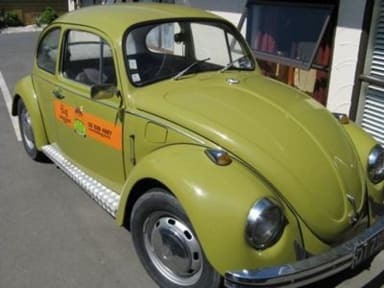 Run by travelers for travelers, The Bug Backpackers Nelson has a homely family atmosphere. 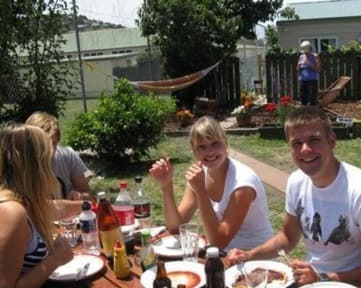 The hostel is spread over three houses and connected by a relaxing garden with fruit trees, BBQ and a football table. Come and enjoy the quality and cleanliness of this popular hostel. The Bug Backpackers features free unlimited WiFi, bicycle rental, free breakfast, a laundry, free luggage storage, free off street parking, large well equipped kitchens with fresh herbs and bread, free coffee and tea, lockers in large dorms, camping gear rental and much more. Our rooms are spacious and modern. In the colder months we are fully heated with thick duvets. Our staff is awesome. We help you to meet people, organize tours and take care of pretty much everything you need. Reception is open from 7:00 am to 12:30 pm and from 14:30 pm to 20:00 pm. You can also check in outside these times by prior arrangement. Please call once you have made a reservation. You may also arrange a free pick up and drop off from the bus stations. Call us once you have arrived in Nelson! Guests must be at least 18 years of age unless they are with a parent or guardian. We do welcome families.